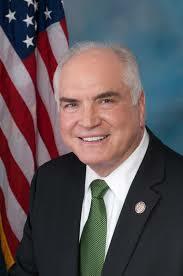 Congressman Mike Kelly (R-Butler) is closing one door, and leaving another open. Kelly announced today he will not be running for Governor next year, and is seriously considering a run for the U.S. Senate. “Earlier this week I reached out to several of the potential Republican candidates for Governor to inform them that I will not be pursuing the GOP nomination for that race,” Kelly said in a statement. Kelly had been rumored to be considering a run for both races. Kelly said in his statement he will have a decision on whether to run later in the summer. As of the most recent Federal Elections Commission filings, Kelly has $835,012.51 cash on hand. If he were to jump into the Senate race, he would be able to transfer all of that money over into those campaign accounts. Kelly was first elected to Congress in 2010, and currently sits on the House Ways and Means Committee. Congressman Lou Barletta (R-Luzerne) is reportedly considering a bid for the Senate after President Donald Trump spoke with him about it. State Representatives Rick Saccone (R-Allegheny) and Jim Christiana (R-Beaver), Reading area businessman Jeff Bartos and RNC Delegate Andrew Schektor have all announced bids for Senate. Southeast businessman Paul Addis is also considering a run. Great Blog,Thanks for sharing please keep updating. Kelly is my congressman. He has spat in the face of the 3rd since day one. I will work my fingers to the bone to ensure he loses to Senator Casey. Go back to selling your used cars in Butler crooked Mike! Need a Dem to run in PA-03 – think DiNicola would ever run for that seat again? He’s a great guy but I doubt it. He was contemplating running in 2012 but didn’t I presume because of the redrawn district. There has to be at least one Dem on the ballot for the seat though next year. Unacceptable to let it go uncontested again. The perfect length of installment terms is 1-2 weeks however it can stretch out up to a month. It is called that way basically in light of the fact that your installment will be paid on your payday, which implies that the crediting organization will get cash straightforwardly from your save money with your consent. Kelly didn’t back out of the Gov race because he thought he’d win! And now he is pondering the Senate race??? Really? He’s got a safe seat in congress and is not giving that up. i’m hoping for Mike Kelly runs for reelection and I will support him and win that race. So Wagner out rich white guy HATER’ed him? Who knows how likely it is Kelly would vacate his seat over a more-probable-than-not general election loss to Casey. But it has to be enticing to him considering the field of candidates so far in that GOP primary. More interestingly, if he does decide to run, who steps up to try and take his place in the 3rd District, both on the GOP and Dem side? Good question. Most likely will be a GOP hold until after redistricting is done. Heard that former Erie mayor Rick Filippi is thinking of it. John Persinger (who is running for mayor right now) would be a logical choice for GOP. I also read awhile ago Fillipi is a possibility. Not sure what kind of draw he would have outside of Erie County. The political power in our district has shifted from Erie to Butler County after the redistricting, so I would think a Butler Co. legislator/commissioner would be a logical choice for the GOP. If the seat is vacated, and 2018 is a wave year for the Dems, the seat is flippable. Extremely difficult, to be sure, but the numbers are there at least. Filippi’s wife is from Butler if that counts for anything. It’s a long shot but I admire the guts it takes to step back into the political arena after all he’s been through. Kelly is a terrible Congressman. However, he is protected by a gerrymandered district so he no longer has to represent half of Democratic leaning Erie County. As for facing Casey, it’s going to be very difficult to defeat him. Wolf is more beatable. Would love to see Kelly run though just to get him out of the 3rd district. Especially if he’d lose, then be out of politics totally. What a win for the world. Much different asking for a third party candidate to win statewide in PA. They said the same thing about Trump and here we are with President Trump. Anything is possible. Because he has no chance of winning. Dale Kerns has also announced, why leave his name out? Because no one cares about Libertarian Party candidates any more than they care about Republicans in Pittsburgh or Democrats in Huntington County. They are irrelevant. Actually, Kerns has been getting alot of attention and some state reps are considering endorsing him.